French President Francois Hollande told French soldiers who are helping Iraq fight the Islamic State that their efforts are preventing terror attacks in their home country. “Taking action against terrorism here in Iraq is also preventing acts of terrorism on our own soil,” Hollande said Monday at a base of Iraq’s Counter-Terrorism Service near the capital, Baghdad. After beginning his one-day trip to the region Monday with a visit to French troops, Hollande will meet with Iraqi Prime Minister Haider al-Abadi, President Fuad Masum, and Parliament Speaker Salim al-Juburi. 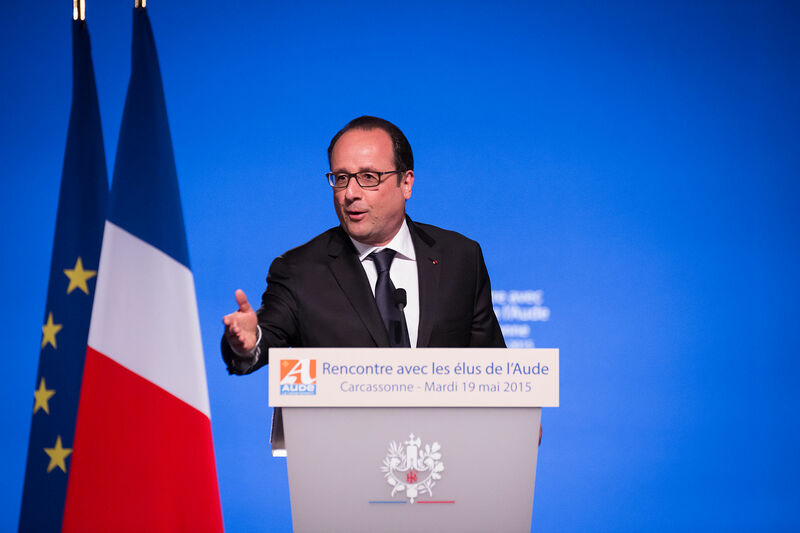 Hollande will also visit the autonomous northern area of Kurdistan to meet other French troops and local officials. Iraqi state television reported Holland will discuss “increasing support to Iraq and the latest developments in the fight against Daesh,” the Arabic acronym for IS. France has executed thousands of air strikes against IS in Iraq and Syria as part of the U.S.-led coalition to fight the Islamic State group, and has provided equipment and training to the Iraqi military. The French troops, about 500 in all, are believed to be participating in the campaign to oust the IS militants from Mosul, the group’s last major stronghold in Iraq.